Vehicle Mode: The blaster in truck mode does have some resemblance to Optimus Prime as we saw him in the Movie, but with two major differences. There is a trailer, of course, something Prime didn't have during the film, and it's a cab-over-engine model rather than a long-nosed one, making it actually more similar to the G1 version of Prime than the Movie version. There isn't a whole lot of play value here, really, you can roll the truck over the floor and that's it. Still, as far as alternade modes for full-sized weapons go, it's pretty good. Weapon Mode: The 'real' mode in question is the blaster, of course. The truck transforms into a glove-like replica of Optimus Prime's fist holding a blaster rifle. The blaster can shoot foam projectiles and does so with surprising force. In fact, I'm not a hundred percent certain this thing fulfills all safety standards, but that's another story. In order to shoot you have to pull back the rifle slide and insert a missile, then simply aim and fire. As hand-held blasters go this thing looks pretty cool and it's a nifty idea to include Optimus' fist, so thumbs up here. 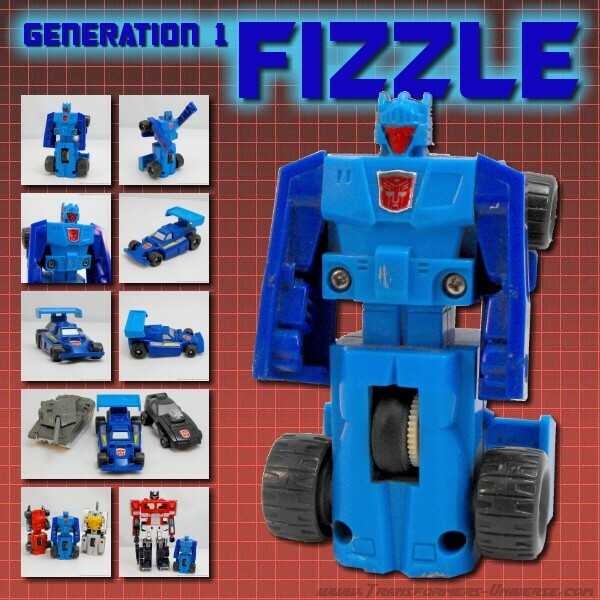 Remarks: I picked up the Big Rig Blaster as part of my loot from the Hasbro press event back in May 2007, but for some reason I'm only now getting around to actually putting it on my website. Many people at the event had lots of fun with this blaster, showing beyond doubt that boys will always be boys, no matter their age. Shooting with toy guns appeals to all male age groups, I guess (just take a look at the pictures). Apart from the fact that I have some doubt as to the safety of this toy in the hands of a small child (the missiles do hit pretty hard), there is very little to complain about here. As a Transformers collector you'll have to decide for yourself whether or not the blaster is of interest to you, but as an all-round Transformers fanatic, I really had no qualms about picking it up (and it was for free anyway). So if you wanna have some kiddy fun, Transformers-style, the Big Rig Blaster is for you.